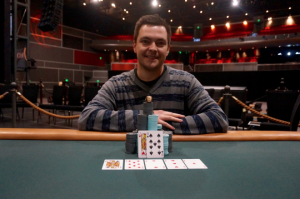 An amateur poker player from Denver Mr. Krzysztof Stybaniewicz ,has won the largest circuit main event at the Horseshoe Casino in Hammond and took home the first cash prize of $356K. Total 1,376 entries generated a cash pool prize of $2,064,000. The buy in for the main event No Limit Hold’em $1,675 buy in and 153 finishers collected some cash prizes as well. This was the first ever big poker tournament winning by him. 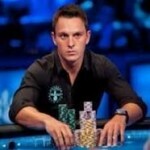 He also got his place fixed for the WSOP Global Casino Championship. After winning the main event of this prestigious tournament, Stybaniewicz said that this is everything to me. I am very happy getting the success here. He said that he has many friends who have done really well in past and that is why he always thinks about doing the same in a great manner and the time is now to celebrate. The 26 year old guy is gradual ate and holds a degree in finance. The 12 day Hammond poker festival comes to an end at the last day of the tournament. The tournament got started at October 15th whereas total 12 gold rings events were played at the scheduled tournament. This was one of the toughest main event to which Stybaniewicz did really well at the end of the game. The final table included players like Kelly Minkin (WSOP 29th place holder), a gold bracelet winner Aaron Steury and this year’s palm beach champion Mr. Peter Vitantonio. The third and final day of the main event started with 25 players. Here are the rest of the players who got something at $1,675 no-limit hold’em at Hammond. Stybaniewicz said that beating Joe Kuether was a special moment in my life. He is one of the best players in the world and has done quite differently in previous tournaments. The victory added real values to Stybaniewicz total earnings and it is crossed to $450,000 while playing at more than 25 various WSOP events. The final table of the tournament also included some top players such as Steury a player from Fort Wayne, IN, United States, booked for 12th position, Tom Koral of Chicago, was booked for 16th position and Kenny Nguyen of Lynwood, finished with having 25th position.